Perhaps the greatest musician of all time, Johann Sebastian Bach, widely considered to be the “Father of Modern Music”, had cause to wonder if God was really with him when he went through some severe struggles in his lifetime! Today is Bach’s 328th birthday! 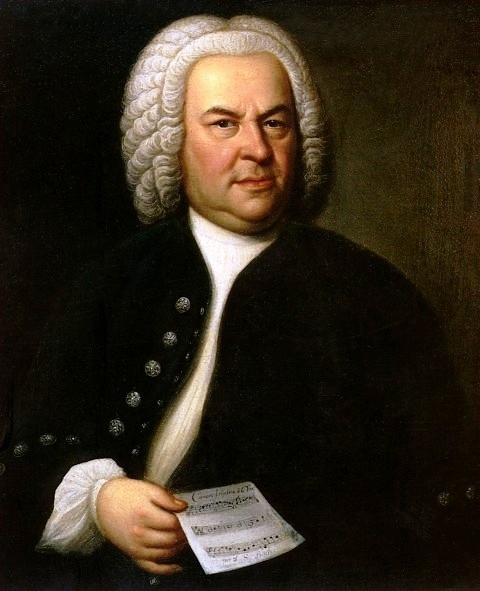 This great composer was born in Eisenach, Germany on March 21, 1685 into a family that had been prominent on the musical scene in Europe for centuries! His father was the director of the town musicians and most likely started young Johann on the violin and basics of music theory. However, as the eighth child in a family of fourteen children, he was no doubt devastated when his mother passed away when he was only nine years old; just eight months later, his father also died. How tragic that the greatest musician of all time was an orphan at the age of ten! But God, in His sovereignty, had a plan and purpose for young Johann’s life far beyond what he could have imagined! Even though it seemed that life was somehow unfair to this young lad, God showed once again that Romans 8:28 was true! This passage says, “And we know that all things work together for good to them that love God, to them who are the called according to his purpose.” (KJV) Young Johann had been schooled in the scriptures from an early age and had a faith in God that was real. His parents had seen to it that his religious education was sound and as devout followers of Martin Luther, they instilled into their son a Godly heritage. Johann’s oldest brother, Johann Christopher Bach, invited the boy to come live with him. It just so happened that he was the organist in a large church in the area, and because of this, Johann was able to study, perform and copy music from his brother’s repertory. He received extremely valuable instruction from him on an individual level that he might never have obtained had his parents lived. He was instructed on the clavichord and harpsichord, in addition to the organ, and this early training could well have culminated in one of his crowning achievements, “The Well Tempered Clavier”. Later he attended music conservatories and studied more extensively with some of the great musicians of his day. But, this early training gleaned from his time living with his brother was the foundation for all that would come later, including his keyboard, organ and chamber music; concertos; cantatas; and other orchestral works that have been revered for centuries! In fact, Beethoven called him “the original father of harmony” and we know that he perfected the musical scale we use today. Did God have a purpose for his life? The answer is an emphatic yes! We know he was a devout Christian and that sacred music was at the center of his repertory. He regarded his music as “an act of prayer” and stated, “I play my music to the glory of God!” Once when Bach was about 32 years old, he desired to accept a post which would have given him more money and been advantageous to his career. The duke under whom he was currently serving became infuriated, had him arrested and thrown in jail for a month. During this time Bach wrote a cycle of organ chorale preludes for a year which were later published in Germany and are still available! Once again, God used a seemingly negative circumstance to His glory! When he was just 35 years old, he went on a tour of Europe with the prince by whom he was employed, playing the harpsichord for European aristocracy, along with a musical entourage. When he returned home he found his wife of nearly thirteen years, Maria, dead and buried while he was on tour. She had been completely healthy when he left. Sadly, their four young children were now motherless. Did Bach give up and allow himself to succumb to bitterness and self-pity? Indeed not! Johann turned in an even greater measure to composing and playing the music of God and the church he loved! It was after this time that he composed most of his greatest chorales based on sacred texts, even while he served as cantor, musical director and organist in the church. He spent the majority of his life composing and playing music that glorified God and His Word! A year later he met and married a young woman named Anna Magdalena and to this day we play many of the works she translated into notebooks for their twelve young children to practice during their daily home schooling! As we celebrate the birthday of Johann Sebastian Bach today, let’s remember that he was an ordinary human being such as you and me, and that despite the setbacks and trials of life, he chose to let God work a greater work in him through these events, culminating in music that endures and blesses people to this day! I feel sure he is enjoying the rewards of his labors in Heaven, singing and making melody with the angels and the saints of God who have gone on before! ← The “Dumbing Down” of Music?